Winter is just a couple of days away. With this season comes dipping temperatures and sometimes destructive precipitation. If you are new homeowner, chances are you may not be aware of the steps one should take in order to ensure their home stays in tip top shape during the winter months. Clean out your gutters to avoid ice buildup. Turn off all exterior faucets from the source in order to avoid any pipes bursting. Stow away all yard tools, lawn mowers, and summer items in a shed to prevent them from being eaten by the elements during the winter months. Caulk your windows and other gaps to ensure you make the most of your heating system. This will also cut down on energy bills. If you don’t already have snow shovels or a snow blower, buy them now. If you wait until the first big snow store storm, it’ll be a lot tougher than need be. 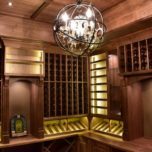 Worried you’ll remodel yourself into bankruptcy? Don’t! 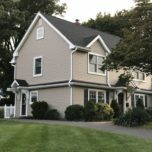 Doing research on ways to save money during home remodeling can mean the difference between adding value to your home or spending away your hard-earned equity. Pay Your Taxes with Trash: Donate unwanted materials to a nearby Habitat for Humanity chapter. Not only will this get your refuse picked up for free and help your environment by saving landfill space, but it will also earn you a charitable tax credit. 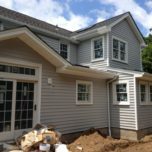 Leave the Paintbrush at the Factory: Clapboard siding (wood boards that make up the side of a building) can be purchased pre-primed and pre-painted for roughly 15 cents extra per foot. Short-term this will cost you more, but long-term this will save you on future paint jobs. The factory paint job will last two times longer than a normal paint job. This is because factory paint jobs are done on dry wood under optimal conditions with no precipitation or interfering elements. Be Your Own Cleanup Crew: Cleanup by a construction crew adds up fast. Handling the cleanup yourself is free! 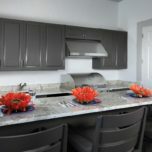 Use the money you save to get nicer countertops installed in your kitchen, or pay for some other service you can’t do yourself. 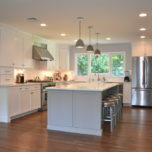 To learn more tips about cost-effective NJ home remodeling, visit us at www.trademarkinteriors.com. The holiday season is finally upon us! It’s time to spread love, gather with family, and show your affection for others in the form of gift giving. For some, this time of year is purely joyous and warm. For others, it may become stressful. Ensuring you purchase or create the perfect gift for the special people in your life can become a bit unsettling. While many people give gifts to individuals, why not give a gift your entire family or household can appreciate? 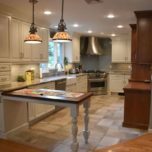 While more pricey than a trinket or gift card to your favorite coffee shop, a NJ home remodeling job is a gift that will last and will add value to your home. 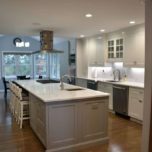 If you’ve been considering a home addition, kitchen remodeling job, or home entertainment room, now’s a great time to act! 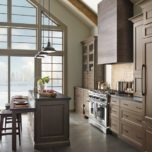 Your kitchen should be a place you want to be in. A perfect place to work on dinner with your family and converse. 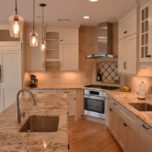 If your kitchen is cluttered or has a bad layout, it may be time to make some changes. Everyone has had their dream of a home theatre. It’s more obtainable than you think! Upgrade your living room or transform your basement into the entertainment area you’ve always dreamed of. Sometimes no matter how you rearrange your home or re-do your space, you run out of room. Growing families and growing ideas require more space. Happy holidays to all. Feel free to reach out and set up an appointment whenever you’d like. We can be reached via telephone at 973-636-0100. You may also schedule an appointment via our website at https://www.trademarkinteriors.com.